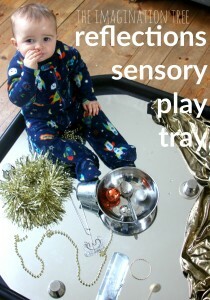 Here’s a collection of simple sensory play activities for babies and toddlers, for a fun exploration into the world around them! 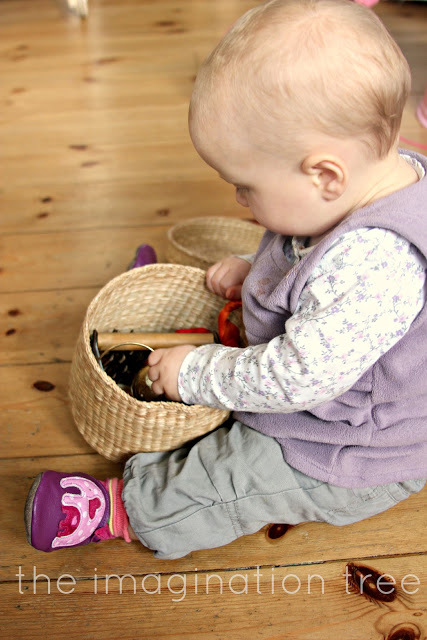 All are little to no effort or cost and encourage engaging play and exploration, both independently and in shared one to one sessions between baby and a special adult. Enjoy! 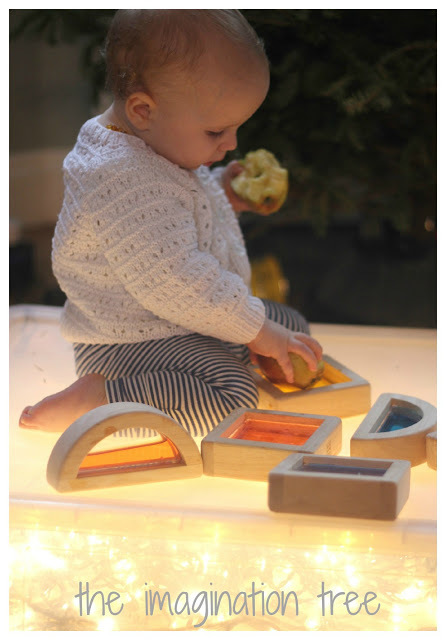 Little ones don’t need extravagant play times set up for them. 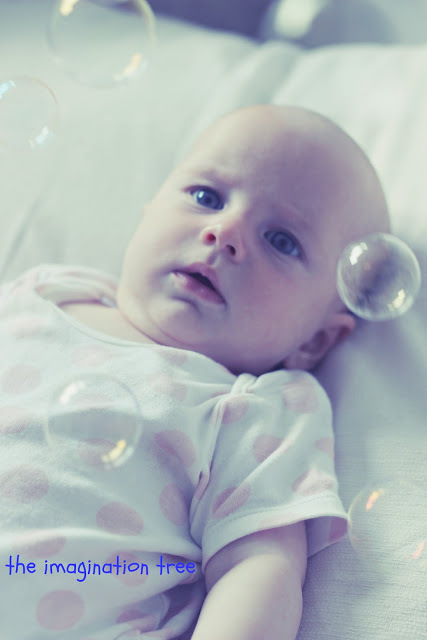 Absolutely everything is something to explore and wonder at when experiencing it for the first time! 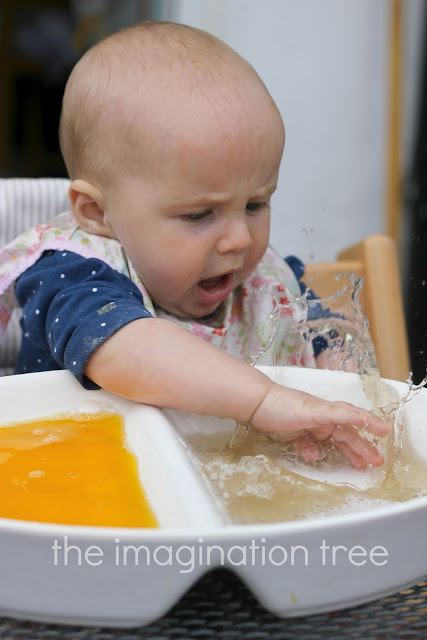 From toes in the grass to splashing in water, babies find out about this brand new world around them using all of their senses, sometimes all at the same time! 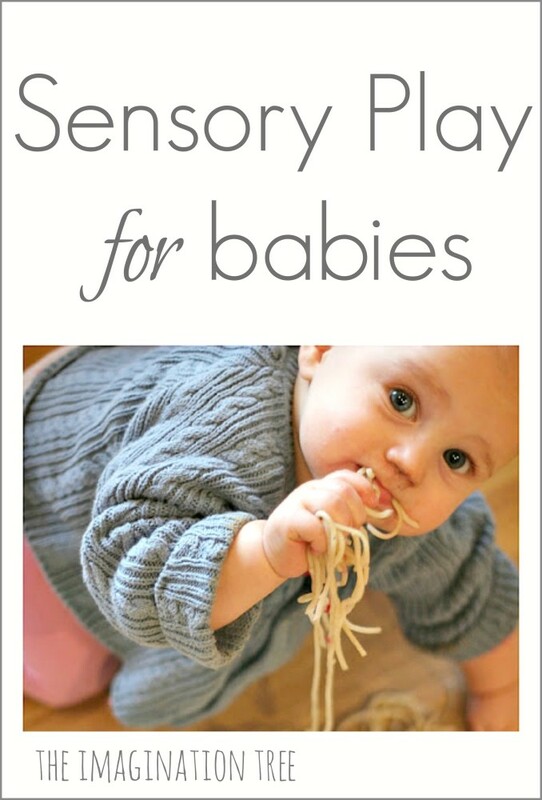 Here are some ideas for safe tastes, hands on exploring and tactile investigating. 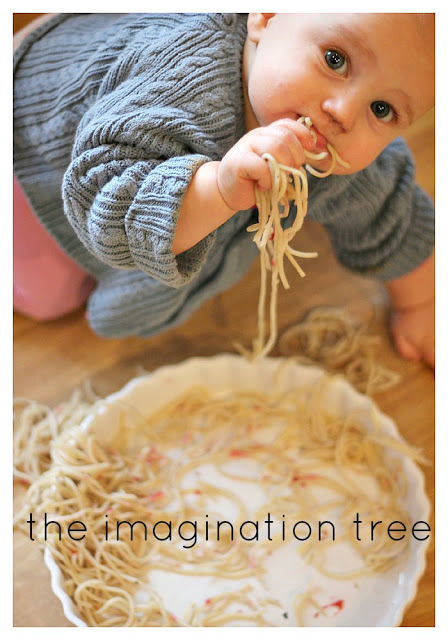 As always, never leave your baby unattended when playing with any of these ideas. 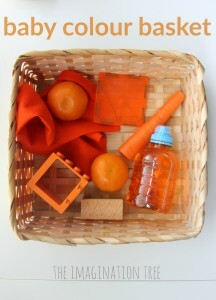 Play together to increase the opportunities for sharing and communicating as they explore and make this a special bonding time! Remember, their attention spans are not long at this stage and that is fine. A few minutes of one of these ideas per day is plenty, and come back to revisit them often as repetition is what leads to familiarity and building on learning skills later. Watch the trees and feel the breeze outside! 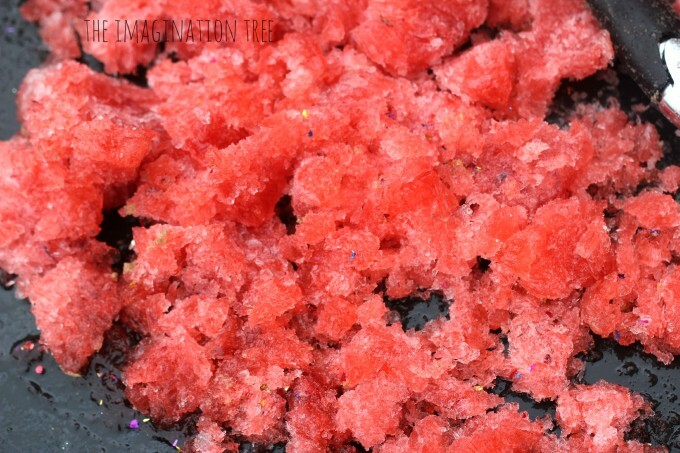 Discover the amazing feeling of frozen jelly! Listen to the sound of rain with mini rainsticks! 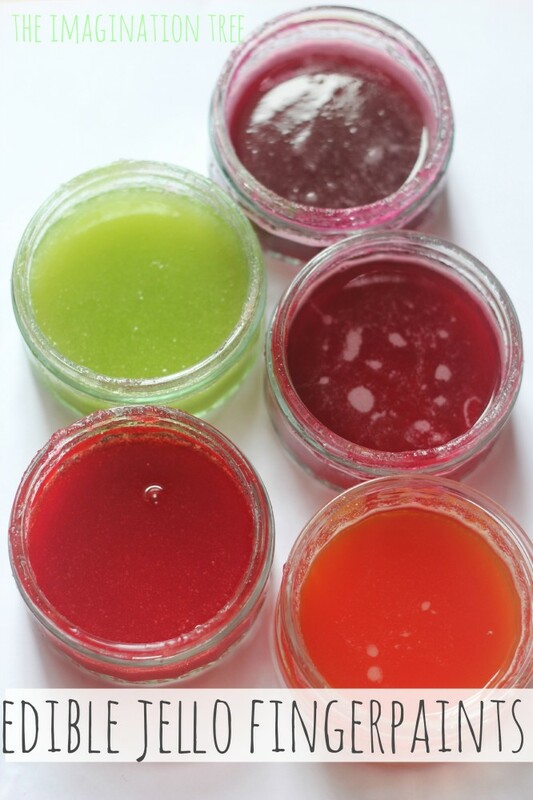 Smoosh, smear and paint with homemade edible finger-paints! 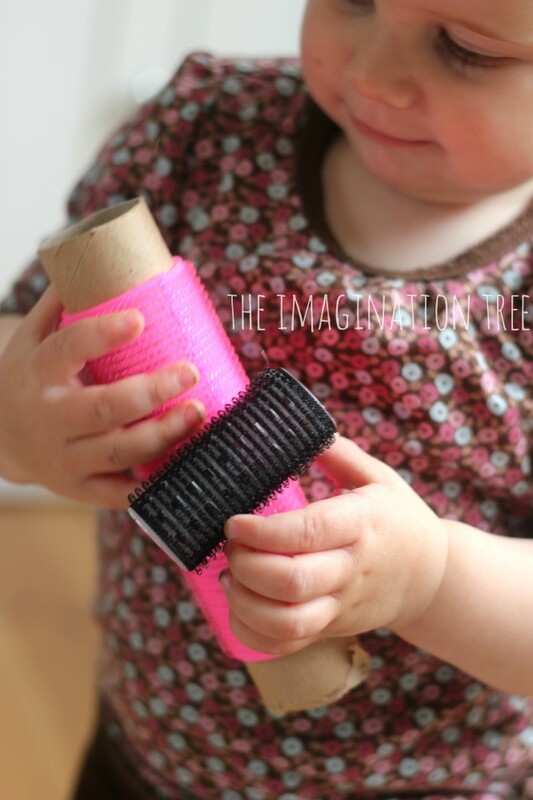 Here is a list of some of our very favourite baby and toddler toys and play resources! 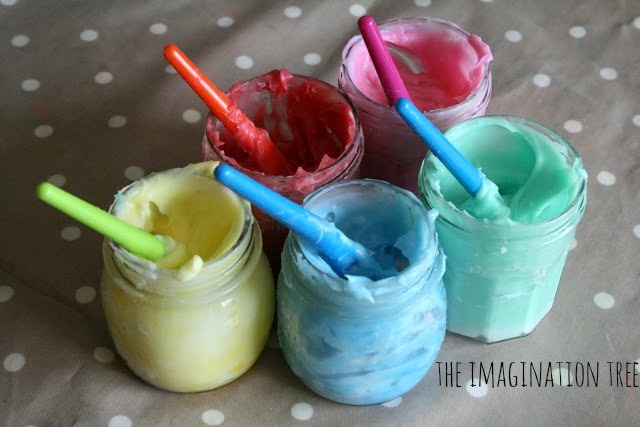 I tried making some edible paint according to your recipe. It was wonderful! 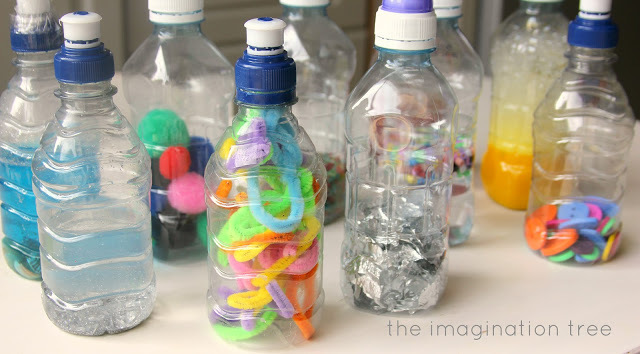 Loved the way it felt nice & warm when it was freshly made.Great for sensory play. I can’t wait to take it out of the fridge for some play tomorrow! Thank you for sharing! 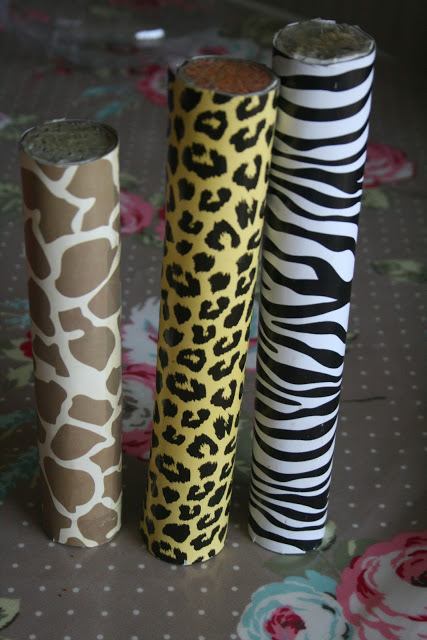 Oh hair rollers! What a brilliant idea. When my son was little he use to cry when he was inside. He loved lying on a blanket watching the leaves dance. Thank you for igniting that memory. You are an exceptionally creative person and it is wonderful that you openly share your ideas!!! 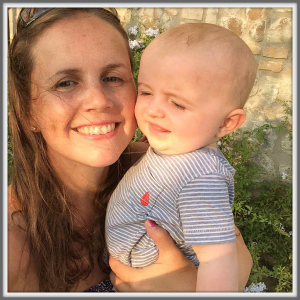 Thank you so much – I will be taking ideas and making things for my own children (boys aged 8months and 2 1/2years) as well as for the children I work with who have Autism! 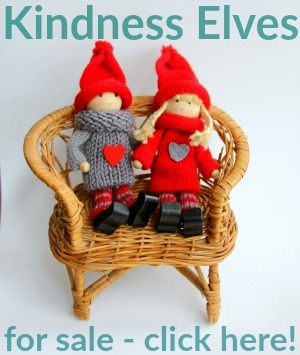 I will be sharing your page on my blog if you’d like to pop over and check it out! I love the toys you selected for 6-18 months. I’d like to purchase the Robinia blocks and Mirror blocks, but I’m having a hard time finding them in the USA. Do you know where I can find them? Do you recommend certain soft dolls?